My next project is gonna be a 72 OIF, and need some ideas thrown around. Im figuring I will slap on some type of hardtail (dont want alot of space between the transmission and rear wheel), and a springer front end (prob fab up one like the redneck engineering one but narrow and short). I dont know exactly when im gonna start it, but please post some pics of OIF Triumphs that turned out good and some other ideas. 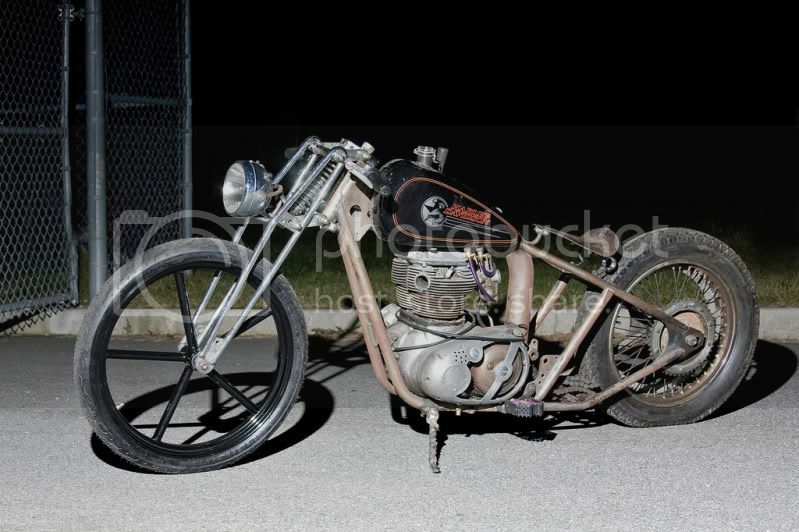 mine hasa 68 bsa firebird scrambler powerplant, girder dave cook perimiter rotr and tons of 1 off parts as well. since these pix both bikes have exhausts done and quite a few other things. 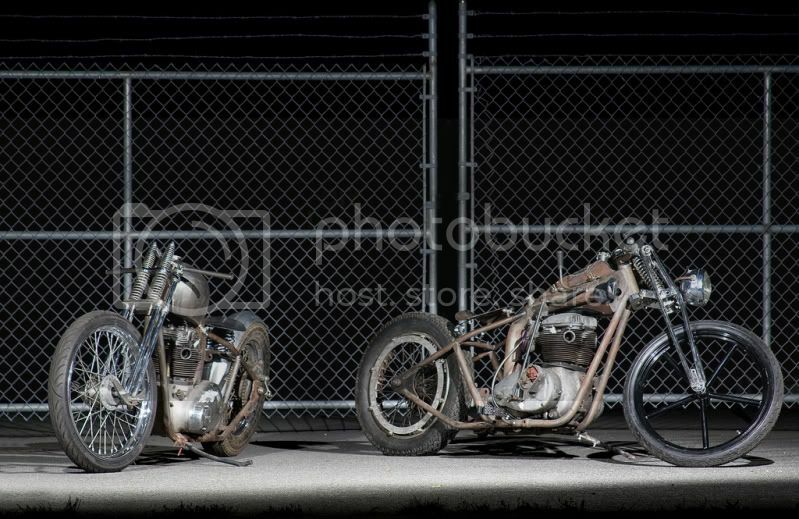 man, tattood...both of those bikes are steller...nice work. dont wanna hijack this thread but where did you get your invader tatoodup? and is it a 21 or 19? i got it raw with bearings/preload for like $250 shipped the guy was super nice guy and pretty fast turn around on something hand made.